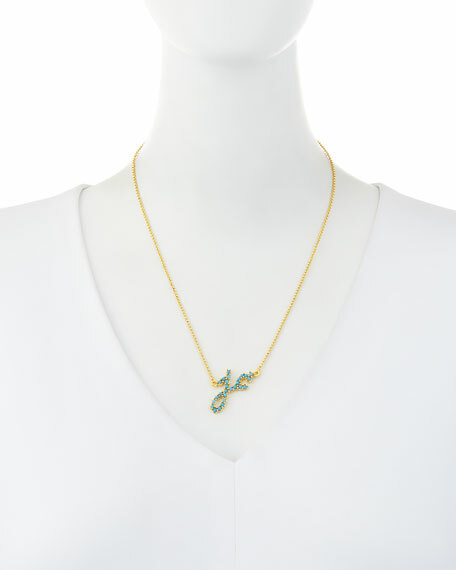 Initial pendant necklace by Jennifer Creel. 14-karat yellow gold cable chain. 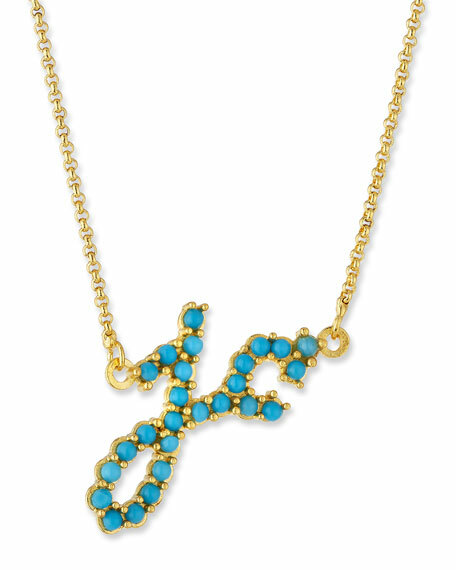 Integrated pendant with turquoise cabochons. Ben-Amun triple tassel pendant necklace. Polished yellow golden chain and hardware. Teardrop pendant with bezel-set lapis oval. One tiger eye bezel with three chain tassels. Approx. 31"L chain; 8"L pendant. Lobster clasp. Made in USA. "Ever" pendant necklace by Kendra Scott. Your choice of metal plating and pendant. 14-karat rose gold plating with rose druzy.